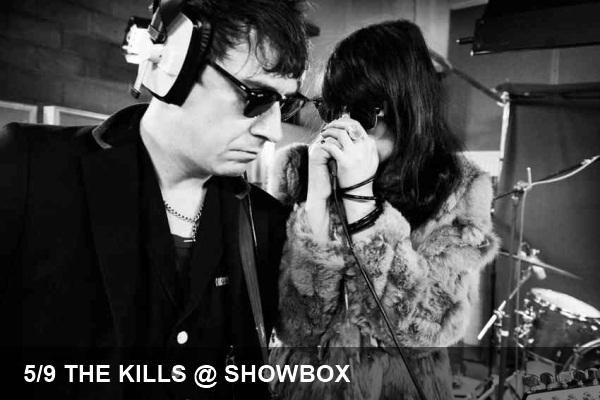 Just about a month after releasing what is arguably the duo’s best offering to date, The Kills find themselves back in Seattle at the Showbox tonight. The duo first began amassing acclaim as their 2001 demo tape made the rounds and found increased success of their subsequent albums. The music-loving public’s interest in the group is at all all-time high now, however, following Alison Mosshart’s escapades with The Dead Weather. Their fourth album, which was released the 5th of last month, is the first for the duo since Mosshart’s collaboration with Jack White et al and sees the American/British duo returning to the group’s gritty yet provocative punk-infused, art-rock sound. If you were lucky enough to snag tickets before the show sold out, get their early to see Cold Cave and The Entrance Band.